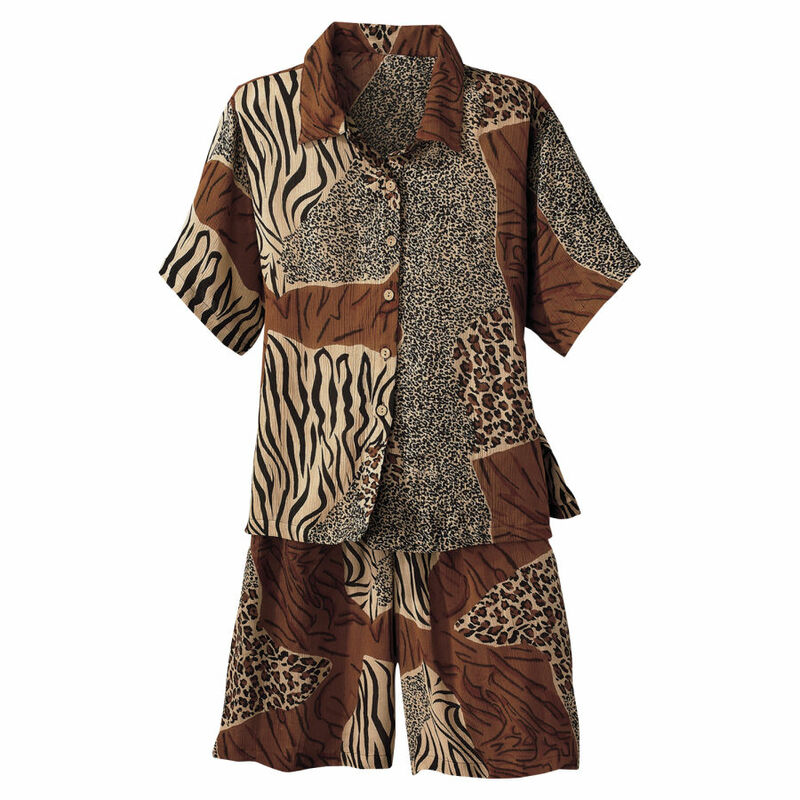 You’ll love the bold Animal prints on this easy-to-wear outfit. The generously cut, crinkle-rayon shirt has side slits and cocoa buttons. Matching shorts have an elasticized drawstring waist and side pockets. 100% rayon. Hand washable. Imported. Color: Multi.